In the 1980s, the city of Memphis began their courtship of an NBA team with the construction of the Pyramid Arena, which cost $113 million in 2014 dollars. But when the National Basketball (“NBA”) team now known as the Grizzlies was finally interested in moving to Memphis, team management convinced the city to build another stadium, the FedEx Forum in 2004, which cost more than double the original stadium cost at $312 million in 2014 dollars. The Pyramid Arena was then left vacant for a long time before the city added an additional $35 million subsidy for other businesses to move in and create a new retail center. The pyramid arena (left) was left vacant for a long time after Memphis’s NBA and college basketball teams moved into the newly constructed FedEx Forum (right). Generally the only groups who benefit from stadium construction projects like the one described above are sports fans, team owners, construction companies, and the financing banks. The worst investments are football stadiums because their unique design make them difficult to be converted for other uses beyond the sport . From 1997 to 2015, 56% of football stadium costs have been publicly funded. These stadiums have an average total cost of $525 million; meanwhile football stadiums often get utilized just eight times per year. Professional sports play a large role in today’s cultural sphere, and much dialogue focuses on end-of-game heroics, rookie draft prospects, and who will win this year’s championship. Yet people easily forget that the major U.S. sports leagues (the National Basketball Association or “NBA”, National Football League or “NFL”, and Major League Baseball or “MLB”) are corporate powerhouses. Money flows through the hands of construction companies, city public officials, cable TV networks, and even those who don’t care about sports. This essay explores the billion dollar sports leagues, which would rank as high as 270th on the Fortune 500 (based on 2013 revenue), and their impact on society. These multi-billion dollar business are growing every decade. Since 2000 the average value of an MLB franchise has increased by 125%, an NFL franchise by 145%, and an NBA franchise by 89%. So who are the team owners that make up the league? Many of them are middle-aged, white, male billionaires (check them out here for baseball, basketball, and football). They must have deep pockets of wealth because a sports franchise can cost anywhere between $500 million (Texas Rangers) and $2 billion (Los Angeles Dodgers). Today’s team owners are CEOs of Fortune 500 businesses, hedge fund managers, or heirs to family fortunes. Sometimes, these franchises are parts of much larger businesses. For example, the Knicks are owned by cable provider Cablevision – the cable provider in New York City – and a part-owner of the Lakers, Anschultz Entertainment Group, also owns LA Live, a profitable downtown entertainment center in Los Angeles. The task of growing these leagues falls on a league commissioner, who is chosen by team owners for the role of setting game rules, determining salary constraints, and pursuing goals that grow the league total pie – all very important in solidifying business success. 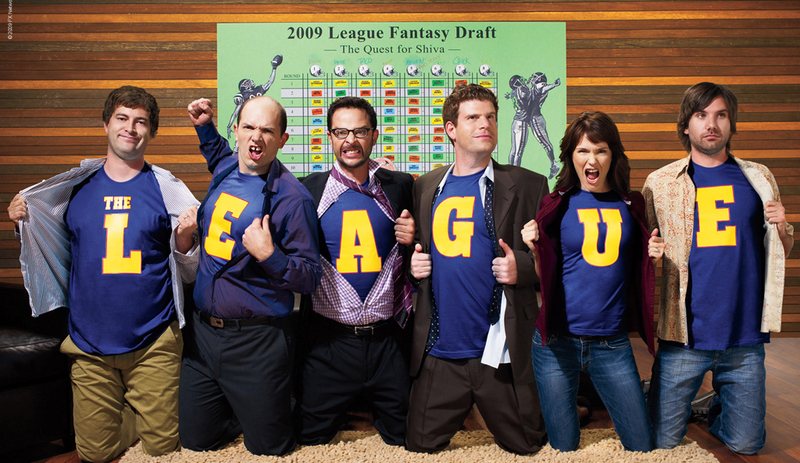 The league commissioner will even step in to resolve public image controversies. In early 2014, the NBA commissioner banned the LA Clippers team owner Donald Sterling from the league for life because racist comments he had made in private were leaked. Sterling was basically forced to sell his team . Why can the commissioner have such power to step in and force a business owner from essentially running his own business? Because ultimately, the league is a club of team owners who collaborate to make decisions about what’s best for the greater league, and therefore, business. If owners believe a racist team owner might hurt profits in a league with many African American athletes, they have the power to boot him. Team franchise ownership has many ulterior goals beyond making money from the game of sports. Some view franchise ownership as just one piece to an even larger economic development project, such as real estate developer Bruce Bratner who purchased the Nets as a means of access to a parcel of land for a much larger real estate development project . Others see the team as a driver for their main business. For example, Anschultz Entertainment Group – which owns a minority interest in the Los Angeles Lakers – also owns the downtown retail center LA Live and the Lakers’ home court Staples Center. Through their ownership of the Lakers, they have a say in a crucial part of their main revenue driver. 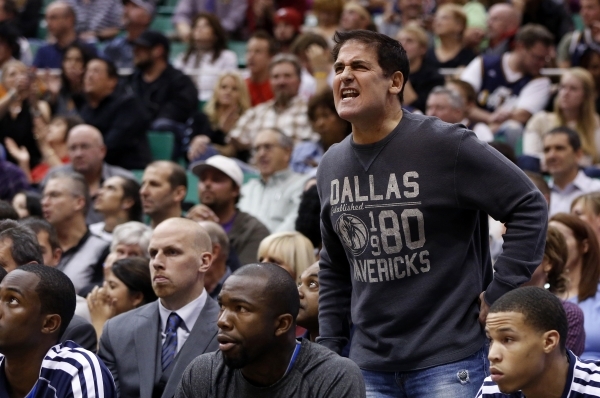 As of 2014, Dallas Mavericks owner Mark Cuban has been fined about $2 million by the NBA. Most incidents stem from criticisms and arguments with referees. Cuban matches each fine with a donation to charity. See a running list of his fines here. One reason that sports leagues are significantly more powerful today are their favorable monopoly positions. Today, there is just one American professional basketball league, one football league, and one baseball league. As we see in any industry, monopoly power allows companies to engage in behaviors that bully potential competitors and force customers to pay higher prices for services. This behavior is no different in sports leagues. In addition to being monopolies in their own particular sport, these leagues have coordinated schedules to limit competition for fan attention across sports – the MLB starts in the spring and ends in the fall while both the NBA and NFL start in the fall and either end in the winter (NFL) or late spring (NBA). None of these leagues’ playoff tournaments have overlapping dates. Today, the cards are heavily stacked against any potential challenger due to high barriers of entry. Any new league that wants to challenge these monopolies would need to secure multi-year stadium leases and contracts with television networks in order to have a serious shot at building fan loyalty bases. The once-NBA competitor, the ABA, crumbled without TV broadcasting rights, leaving all but four team teams bankrupt. Even an attempt to start a new team within one of the existing leagues requires approval from the incumbent team owners. This monopoly did not happen by accident. There’s one thing strange about “competitive” sports teams. Although teams compete with one another for championships, they act in unison to protect one another’s business; they are a cartel. Therefore, a league should actually be considered a single, uniform entity. They vote together and present a single face towards outsiders in all business matters. We see this behavior strongly enforced when a team’s owners experience financial turmoil. In a competitive environment, the fittest survive and the weak perish; in the professional sports world, the league supports the struggling team through financial distress. For example, the MLB league office gave an emergency $25 million loan to the New York Mets owners after they struggled to pay their expenses. It also happened in 2010 when the owner of the NBA’s Charlotte Hornets, George Shinn, was struggling financially. The league purchased the Hornets from Shinn and the Hornets were jointly owned by the 29 other teams’ owners until an official purchaser could be found. Another mark of a cartel is exclusivity, No single owner can join the league or do what he wants without the approval of the rest of the league. During the Hornets sale process, many potential owners emerged who wanted to move the Hornets out of New Orleans. Oracle CEO Larry Ellison had offered $350 million – far above market value – but was widely thought to want to move the team to his native Bay Area. The NBA refused to let Shinn sell his own private property at the best price. He could only sell to a person who would keep the team in New Orleans. As a cartel enjoying significant cultural relevance, the league and its owners exercise outsized power on city policy. Team owners desire new venues on prime real estate because it greatly raises the revenues they get from their fans. However, such stadiums are immensely expensive – the NFL’s Dallas Cowboys Stadium cost $1.15 billion and the NBA’s Barclays’ Center cost $1 billion. Few but the richest teams can afford to pay these amounts privately so they look to get their local cities to foot the cost. City politicians agree to pay these costs because they and their constituents largely believe that having a sports team is good both for entertainment and economic value. In addition, no mayor wants to deal with the negative publicity of allowing the beloved team to move to another city. The league’s cartel agreement guarantees that no team can rotate in to serve the market left behind without agreement from its other league members. As a result, from 1960 to 2000, 70% of stadium construction costs were funded by local taxpayers, mostly in the form of long-term bonds, which can burden governments with debt for over 30 years. Despite impact studies provided by the teams claiming of immediate economic benefits, academic literature has not been able to show evidence of tangible positive economic benefits from building a new sports facility . For all intents and purposes, these are direct subsidies for the sports teams. If these sports teams operated in a true competitive environment, there would be just a handful of NBA teams in existence today. The Success to the Successful archetype would have rewarded big market teams like the Los Angeles Lakers and New York Knicks because they have larger fan bases and higher ticket prices . The New York Knicks are by far the NBA’s most profitable team despite only winning 45% of their games and missing the playoffs in the 2013-14 season. In addition, wealthy teams can afford to spend exorbitant amounts to stack their teams with superior talent and attract superstar player free agents away from smaller cities. So how do smaller market teams like the MLB’s Kansas City Royals, NFL’s Jacksonville Jaguars, and NBA’s Milwaukee Bucks survive? That’s where the league cartel comes in – the league has created many rules to make sports more competitive. After all, sports is entertainment, and even the winningest and richest teams understand that rivalries, close games, and competitive matchups are important for fan entertainment. The most public way the cartel equalizes the playing field is through the rookie entry draft. Each team takes turns selecting from the pool of eligible rookies, with the lowest-performing teams often choosing first. Rookies have no say in where they end up – the team that drafts them is the only team they can join – and the league has pre-determined their rookie salary. Small market owners have a chance to rebuild their teams around a new superstar. 82games.com crunched historical data showing the success rate of each draft pick position at obtaining a future player categorized as Star, Solid, Role, Deep Bench, Complete Bust, or Did Not Play. In contrast, imagine a league without a draft where rookies get to negotiate with teams just like in a typical job market. The most sought-after rookies would flock to large cities and wealthier teams and also be able to negotiate higher salaries. In 2013, Japanese pitcher Masahiro Tanaka bypassed the normal MLB draft – which applies only to players who have played in the US – and participated in an auction between all 30 MLB teams. He was signed by the New York Yankees for $155 million, outbidding the next closest team by 30%. The NBA and MLB both have a “luxury tax”, which punishes owners that exceed a certain spending limit with an additional tax on each dollar in excess. The MLB penalizes first time offenders with a luxury tax of 17.5%, 2nd time at 30%, 3rd at 40%, and 4th or higher at 50%. The NFL does not have a luxury tax but instead has a strict salary cap, which imposes an upper limit on a roster’s total salary . Short of outright socialism, there is no way to fully equalize the market differences between certain franchises. Teams like the Los Angeles Lakers and New York Yankees are always going to generate more than enough revenue or allure to overcome any luxury tax or salary cap . But there is strong evidence that for the rest of the league, these rules help manage a middle ground and equalize competition between the teams. The Yankees’ overspending has not triggered the same behaviors in other teams and the return on their money spent is arguably low. The Yankees have paid 95% of all luxury tax penalties in the MLB since the tax was instituted, but have won only 1 World Series (as opposed to four times in the 10 years before the the tax). The leagues have seen recent competitive parity – 8 different teams have won the last 10 Super Bowls, 7 different teams have won the last 10 World Series, and 6 different teams have won the last 10 NBA Finals. Sports leagues are seeing a growing revenue stream coming from cable broadcasting rights. With the advent of DVRs and Netflix as viable competitors to traditional television, cable channels see live sports as their most bankable asset – media content that is best consumed fresh. This gives the leagues immense leverage to negotiate huge contracts for themselves. This is why in September of 2012, the NFL got ESPN to pay 70% more per game than they originally paid for the rights to broadcast Monday Night Football. Meanwhile, channels such as Fox, ABC, and CBS exhibit the systems behavior of escalation to outbid one another for sports contracts. Sports ultimately drive up the price of cable subscriptions, a cost passed on to consumers. ESPN costs cable subscribers over four times the monthly fee for the next most expensive national network. The kicker is that cable subscribers don’t get a highly customized menu where they can choose each channel they want to purchase. Instead, cable networks bundle many channels together, so viewers who want Comedy Central also get ESPN, and pay a blended price that isn’t very transparent about the per channel costs. So not only do sports fans get stadiums subsidized by taxpayers, they get their cable revenues subsidized by other cable subscribers, many who don’t care about Monday Night Football. It’s been estimated that cable subscribers who don’t watch sports pay an extra of $100 per year each. Cable providers have attempted to negotiate lower fees from sports channels, but fees have continued to rise. Why? Partially because sports fans are exceptionally vocal minorities that advocate heavily for games to be broadcasted. But also, the average non-sports TV viewer doesn’t realize how much of the bill goes to sports and willingly signs up for cable. Fan fervor is propelled by a number of motivating side activities – the foremost of these are gambling and fantasy sports. In fantasy football alone, at least 30 million Americans participate and spend a collective $11 billion annually. Illegal U.S. sports gambling had an estimated size of $160 billion in 2014. People bet on the outcome of every game, with odds recalculated throughout each game, and much of this is done under the table. Fantasy sports is a billion dollar industry that grew at an annual rate of 11.7% from 2008 to 2013. A Planet Money episode called “The Real Economy of Fantasy Sports” covered side businesses sprouting out of the fantasy sports market – things like fantasy sports insurance and dispute resolutions. Through both gambling and fantasy, professional sports becomes a way to build friendships, run a business, and start to carry greater consequences for consumers. Companies like TopLine Game Labs are designing apps in the fast-growing fantasy sports and social gaming market, with a $25 million investment from Cantor Ventures. The result of all these growing side economies are extremely vocal minorities with pride or actual money invested in their games’ outcomes and they absolutely MUST watch their sports team live regardless of the cost to all. Their passion and prominence overrides the relative indifference of the sports-uninterested population. The leagues have created for themselves a powerful reinforcing loop where the media business feeds the gaming business, which creates cycles of growing importance of sports to diehard fans. As consumers, we usually relate to “the game of sports”, but do not relate to “the business of sports” where very wealthy businessmen purchase franchises, openly collaborate in an uncompetitive way, and monopolize their local markets. In 2012, the Los Angeles Dodgers were purchased by a private equity fund for $2.15 billion. Then the Los Angeles Clippers were sold for $2 billion, nearly 4 times as large as the Milwaukee Bucks’ then-record setting $500 million sale earlier in the same year. These increasing values are partly due to growing revenues from a variety of sources, but also acknowledge that a sports franchise is protected from competition in its local area, has its costs (player contracts) artificially restrained through cartel practices, cannot fail because it gets bailed out by its peers, and has a roster of extremely loud, passionate fans fighting for its significance. Sports is great fun, but it is also a fun business. But not all stadiums are poor investments; the multi-purpose Staples Center arena in Los Angeles is home to three professional basketball teams (Lakers, Clippers, Sparks), a hockey team (Kings), and over 250 concerts and events throughout the year. Another example is MLB commissioner Bud Selig’s project to stamp out steroids in baseball. Fearing that steroids use could threaten the credibility of the game, he made the decision for the benefit of the business of baseball. Cuban has said that most of the financial rewards from franchise ownership are earned at the sale of the franchise to the next owner, and not from regular operations. He proudly adds that he has no intention of selling. When we look at the history of NBA championship winners, a relatively few number of teams tend to dominate. In the 1960’s, the Boston Celtics won 9 of 10 championship titles. In the 1980’s, the Lakers won 5 and Boston Celtics another 3. In the 1990’s, the Chicago Bulls won 6. Then in the 2000’s, the Los Angeles Lakers won 5 while the San Antonio Spurs won 4. The NBA implements a soft salary cap, but economists argue that the salary cap is less effective in the NBA due to the “Bobby Layne Rigidity” effect, where one cannot replace a superstar player with two average performers. So in the NBA where there is a short supply of superstar players that can play both offense and defense exceptionally, getting the $20 million superstar is far better than two $10 million pieces. An analyses estimated that 17% of American 7 footers end up playing in the NBA. This highlights how the NBA’s bias toward tall players for the Center position limits the size of the supply pool of eligible players. Therefore, scoring one truly dominant and talented 7-footer, Shaquille O’Neal, becomes significantly more valuable than being left with the inadequate centers who rely on their tall height to inch their way into an NBA career (think Shawn Bradley). The Yankees generated $570 million in revenue in 2012 according to Bloomberg, $245 million more than the second ranked team. Even while paying 20 times more tax than any other team. The Yankees paid out a cumulative $435 million in player contracts during the 2013-14 offseason largely amplified by the repeat offender luxury tax.